This vehicle has been fitted with £6,370 worth of optional equipment including 22 inch 9 Split Spoke Gloss Black finish Style 9012, All terrain progress control, Black Pack, Drive Pack, Extra additional screen washer bottle, Front Fog Lights, Full size spare wheel, Privacy Glass.Standard specification highlights include Fixed Panoramic Roof, TSR/ Adaptive Speed Limiter, Driver Drowsiness Monitoring, Rear View Camera, Blind Spot Monitor, MFD Single View Screen, Front Seats - 18x18 Way Electric with 4 Way Lumbar, Privacy Glass, Matrix LED, TV Receiver Digital, Air Cleaner, On Board Television, Heated and Power Fold Mirrors with memory, Heated Leather Steering Wheel, Lane Departure Warning, Veneer - Grand Black, CD/DVD Player, DAB Radio, Meridian Sound System, Electronic Air Suspension, Adaptive Dynamics, Auto Dimming Rear View Mirror, InControl Secure for Warranty Period, 3 Zone Air Con, SOS/Assistance Call, Pro Services and Wi-Fi Hotspot, Cruise Control. This car is in stock at Land Rover Barnet. 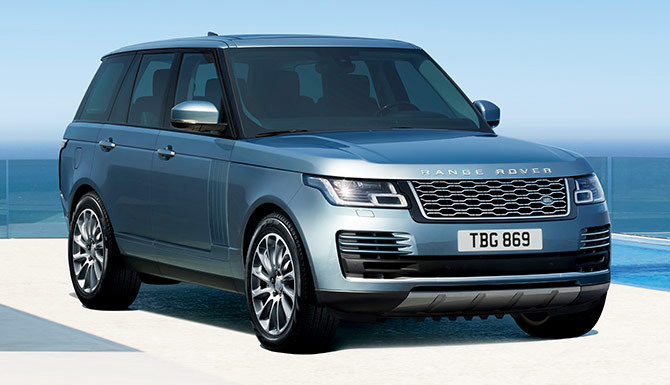 Our Range Rover Westminster is fitted with £2,960 worth of optional equipment including Four Zone Air Conditioning, Ivory Headlining, Detatchable Tow Bar and Full Size Spare Wheel. It is finished in Metallic Santorini Black Paint with Leather Upholstery plus 20 inch Alloy Wheels. Specification highlights include Split Folding Rear Seats, Front Lumbar Support Seats, Electric Front Seats, Heated and Cooled Front Seats with Heated Rear Seats, Isofix Preparation, Centre Armrests, Cup Holders, Front Fog Lights, Electric Sunroof, DAB Digital Radio, 19 Speaker Harmon Kardon Surround Sound System, Electrically Folding Heated Door Mirrors, Navigation System, Bluetooth Connectivity, Adaptive Dynamics, Terrain Response System, Hill Decent Control, Heated Front Windscreen and Rain Sensing Windscreen Wipers. This vehicle has been fitted with £4,080 worth of optional equipment including Sliding Panaromic Roof (including power blinds), 4 Zone Climate Control, Atlas Side Vent Graphic, Terrain Response 2 Auto, Indus Silver Metallic.Standard specification highlights include 20inch Alloy Wheels Stormer Sparkle Silver, Rear View Camera, Park Distance Control Sensor Front, Heated Seats - Front and Rear, Front Seats - 12x12 Way, Lumbar Seat - 4 Way, Ambient Lighting, Double Locking, Meridian Sound System, DAB, Adaptive Dynamics, Heated Leather Steering Wheel, Cruise Control, Adaptive Xenon Headlamps with LED Signature. Specifications and Equipment includes 22 Inch sparkle silver alloy wheels, Adaptive xenon headlamps (AFS), DualView touchscreen, 'Ebony' premium headlining, Front fog lamps, 'Grand Black' veneer, Paint finish: metallic, Oxford leather seats (Style 3), Privacy glass, Sliding panoramic roof, Reduced section spare wheel, Variant: Range Rover 'Vogue', 8 inch high resolution touchscreen, Automatic headlights, Bluetooth audio streaming, Bluetooth telephone connectivity, Cruise control, DAB Radio, Electric front seats, Electric heated door mirrors, Front and rear park distance sensors, HDD Navigation System, Heated front windscreen, Heated leather multi-function steering wheel, Heated seats, Keyless entry, Meridian audio system (380W), Rain sensing windscreen wipers, Rear view camera and many more features. Our Range Rover Vogue comes with a great selection of equipment and features which includes a Sliding panoramic roof, Heated front and rear seats, Heated steering wheel, Cruise control, Meridian sound system, Keyless entry and start, Powered tailgate, Digital TV, 8 inch touchscreen entertainment monitor which includes a Navigation system, DAB radio and Bluetooth audio streaming as well as phone connectivity. Our Range Rover Vogue is fitted with £6,380 worth of optional equipment including Upgraded Alloy Wheels, Sliding Panoramic Roof, Alston Headlining, Four Zone Climate Control, Blind Spot Monitor, Front and Rear Winged Headrests, Privacy Glass, Front Fog Lights, Atlas Side Vent Graphics and Extra Large Additional Screen Washer Bottle. It is finished in Metallic Corris Grey Paint with Ebony Ivory Leather Upholstery plus 21 inch 10 Spoke Alloy Wheels. Standard specification highlights include Xenon Headlights with LED Daytime Running Lights, Rain Sensing Windscreen Wipers, Meridian Sound System, Hill Decent Control, Navigation System, Electrically Heated Door Mirrors, Electric Front Seats, Bluetooth, Automatic Headlights, 8 inch Touchscreen, Terrain Response System, Powered Tailgate, Keyless Entry, Heated Front Windscreen, DAB Digital Radio, 8 Speed Automatic Transmission, Heated Steering Wheel, Heated and Cooled Front and Rear Seats, Front Cool Box, Automatic High Beam Assist, All Wheel Drive and Adaptive Cruise Control. Specifications and equipment includes 22inch Alloy Wheels Diamond Turned, Roof - Sliding Panoramic, Privacy Glass, Adaptive Cruise Control and queue assist, Park Distance Control Sensor Front, Surround Camera System, Blind Spot/Closing Vehicle Sensing, Park Assist, Dual View Touchscreen, Veneer-Shadow Walnut, TV Receiver Digital, Front Seats - 18x18 Way, Starter System - Stop/Start, Adaptive Xenon Headlamps with LED Signature, Adaptive Xenon Headlamps &plus; LED Signature, 3 Zone Air Con, DAB, Meridian Surround Sound System, Adaptive Dynamics, Auto High Beam Assist, Heated Wood/Leather Steering Wheel. Specifications and equipment includes 22inch Alloy Wheels, Sliding Panoramic Roof, Park Distance Control Sensor Front, Rear View Camera, TV Receiver Digital, Adaptive Dynamics, Heated Wood/Leather Steering Wheel, Heated Seats - Front and Rear, Front Seats - 12x12 Way with driver memory, HLDF Touchscreen, 4 Zone Air Con, Meridian Sound System, DAB, Privacy Glass, Full Size Spare Wheel, Ambient Lighting, Adaptive Xenon Headlamps with LED Signature, Cruise Control, Heated Front Windscreen, Starter System - Stop/Start. Our Range Rover is in Immaculate condition fitted with some amazing options, Specifications and Equipment includes Ebony Premium Headlining, Grand Black Veneer, 12 Way Power Front Seats, Blind Spot Monitor Reverse Traffic Detection, Cruise Control, DAB Radio, Digital TV Receiver, Full Size Spare Wheel, Heated Rear and Front Seats, Keyless Entry, Meridian Sound System, Oxford Leather Seats Style 3, Solid Paint, Privacy Glass, Sliding Panoramic Roof, Rear View Camera, Stealth Pack, Terrain Response 2, Wood/Leather Steering Wheel, Xenon Headlamps with signature DRL and many more features. This car also comes with 2 Years Approved Used Land Rover Warranty for a peace of mind. 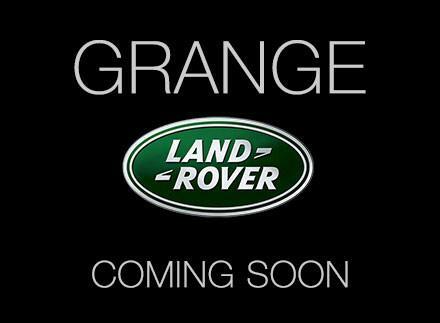 Call us now for more information or to arrange your Test Drive. Specifications and equipment includes 21 inch Alloy Wheels, Sliding Panoramic Roof, Front Seats - electric 18x18 Way, Adaptive Cruise Control and queue assist, Surround Camera System, Reverse Traffic Detection, Blind Spot Monitor, Dual View Touchscreen, Cooled/heated Front and Rear Seats, Meridian Surround Sound System, Adaptive Dynamics, Auto High Beam Assist, Heated Wood/Leather Steering Wheel, 3 Zone Air Con, DAB Radio, Privacy Glass, Ambient Lighting, Heated Front Windscreen.